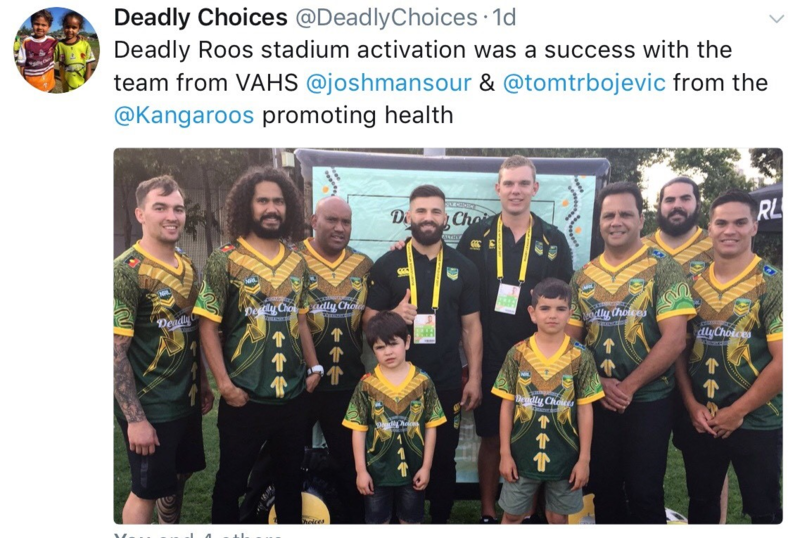 VAHS CEO Michael Graham.Community members who get their 715 Health Check at a participating Aboriginal Medical Service – such as VAHS – during the World Cup can score a special edition Deadly Kangaroos World Cup jersey. Institute for Urban Indigenous Health CEO, Adrian Carson, echoed Mr Graham’s sentiment. 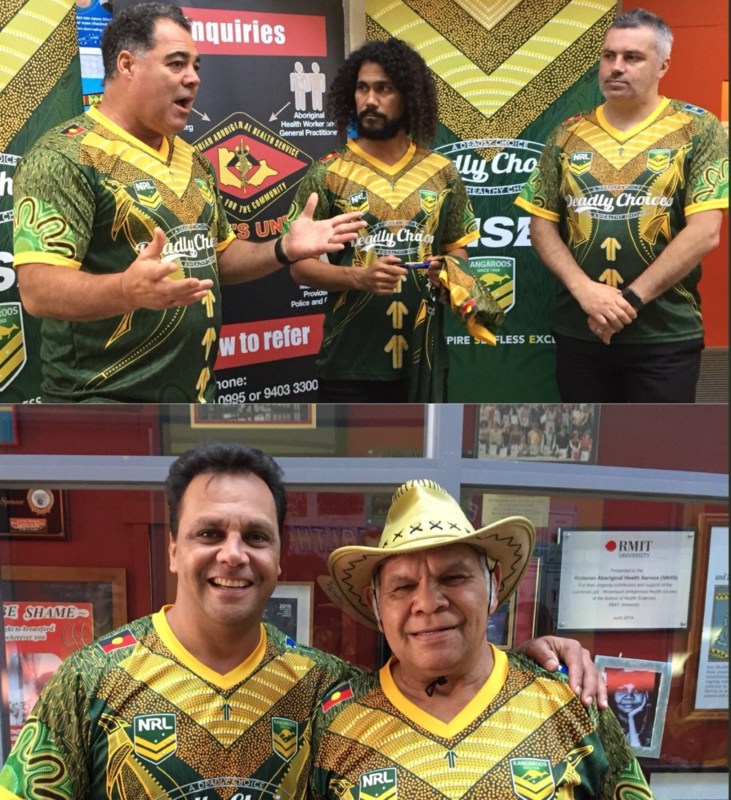 Prevention being better than cure is the message of the day at the Victorian Aboriginal Health Service (VAHS) last week, as the Fitzroy clinic welcomes Australian rugby league legends in Melbourne for the opening of the 2017 Rugby League World Cup. Australian Kangaroos squad member James Maloney and Coach Mal Meninga will join former Kangaroo Steve Renouf to spread the word about the importance of getting regular health checks. The clinic visit is one of a series of events throughout Australia during the 2017 World Cup. 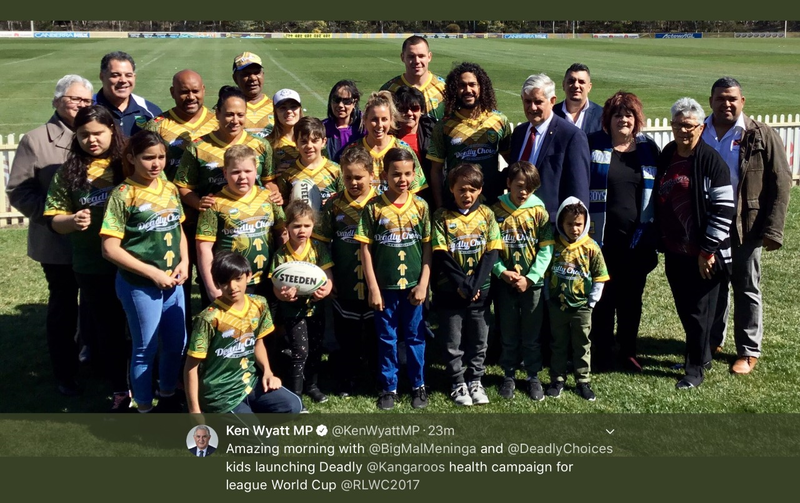 In September, Federal Minister for Indigenous Health, Ken Wyatt AM announced that legendary Kangaroos coach Mal Meninga and other Indigenous and non-Indigenous players would become ambassadors for the Institute for Urban Indigenous Health’s Deadly Choices program, to extend its message across Australia. “Deadly Choices is what I like to call a ‘jewel in the crown’ of Indigenous health, achieving some stunning results since it kicked off in South East Queensland four years ago. 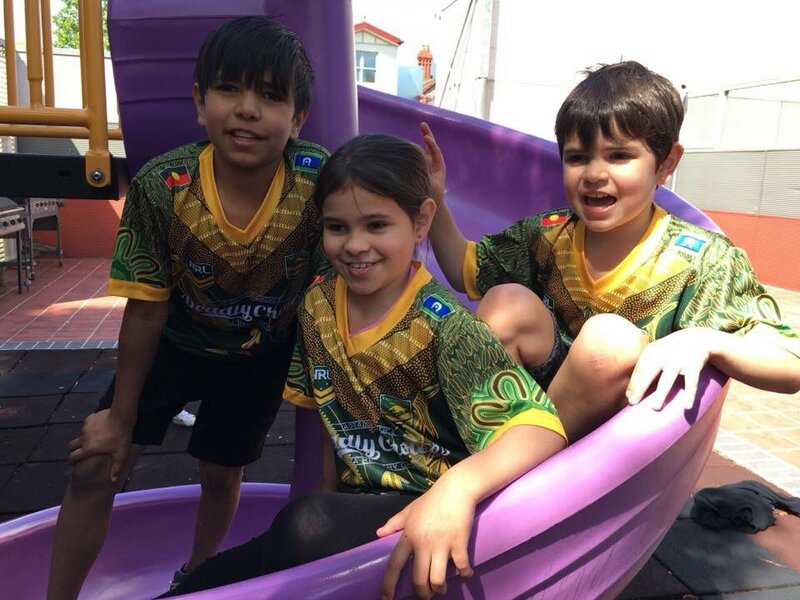 The Deadly Kangaroos is an expansion of this program, using the star power of the ambassadors and the excitement of this year’s World Cup to reach more even communities. Minister for Indigenous Health, Ken Wyatt AM, said legendary Kangaroos coach Mal Meninga and other Indigenous and non-Indigenous players would become ambassadors for the Institute for Urban Indigenous Health’s Deadly Choices program, to extend its reach across Australia. 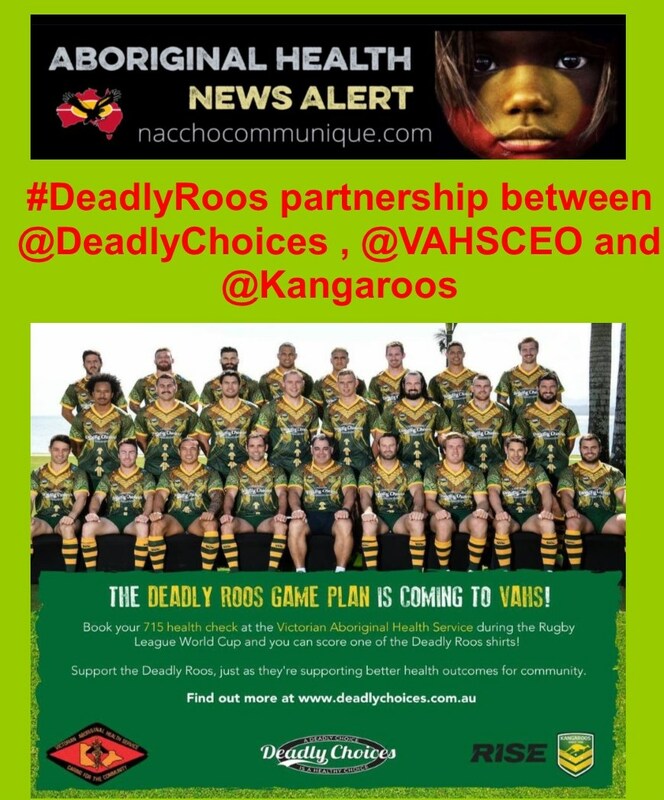 Deadly Choices is a community-based healthy lifestyle campaign launched in 2013. There is particular focus on young people, as well as the importance of exercise, education, school attendance, quitting smoking, and regular preventive health checks. active patient numbers to triple to over 330,000 in the next few years.